The interior for the third Petra Teufel concept store in Hamburg was designed by Laura V Rave in collaboration with Karine Pelouard. 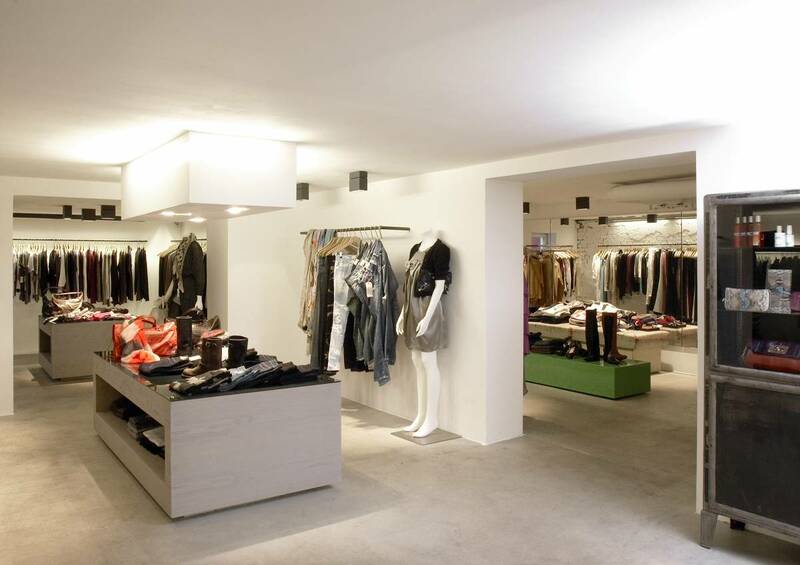 Outside dark wood catwalk guides the customer to the souterrain entrance and through the store kept in plain white. Shiny anthrazit glas and watered wood are used for the display of the retail in a rough but elegant manner.